The Elstead Cora Single Bathroom Wall Light Features Graceful Curves And Clean Lines That Add Just The Right Amount Of Updated Style To Its Appearance. 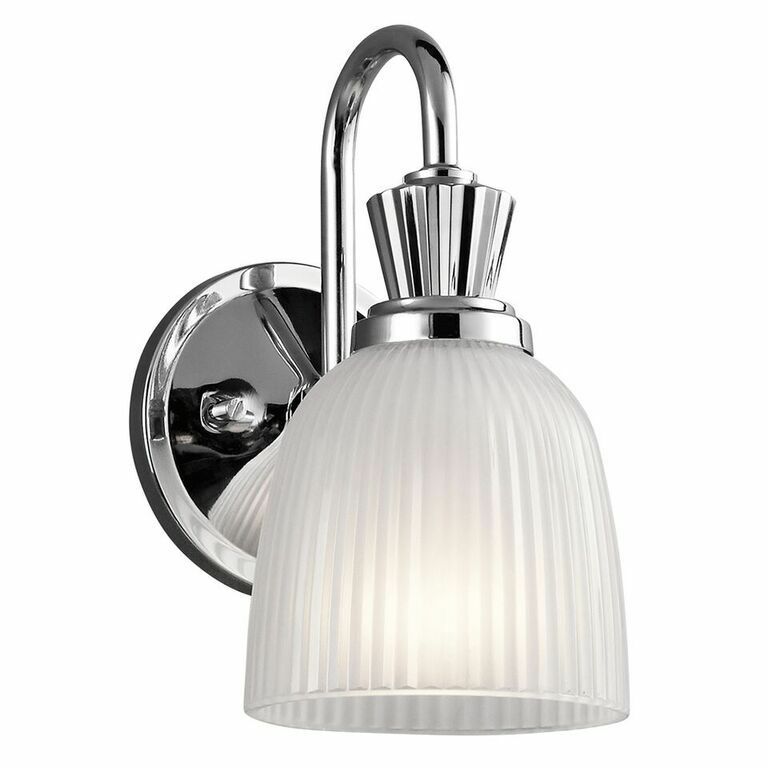 The Cora Single Bathroom Wall Light From Kichler Lighting Has A Bell Shaped Ribbed Glass Shade And A Polished Chrome Finish Support. The Cora Bathroom Wall Light Is IP44 Rated.